Congratulations to the international blindness community and other copyright activists around the globe! What some are calling the “Marakesh Miracle” happened on June 25, 2013 as negotiators ironed out the final details of an historic treaty protecting the reading rights of people who are blind and have other print disabilities. After five years of activism, organizing and hard work, The World Intellectual Property Organization (WIPO) concluded negotiations on the treaty which contains limitations and exceptions to copyright for blind and visually impaired persons and others with print disabilities. Copyright changes are critical for blind people to obtain reading materials in formats they can use, such as Braille, electronic formats, and audio books. The WIPO treaty was designed to address a “book famine” caused by antiquated copyright laws that prevent people with print disabilities from gaining access to reading materials. 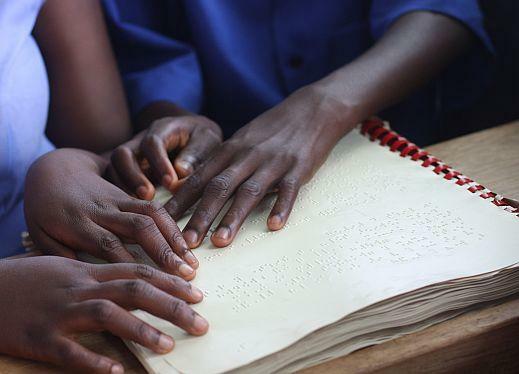 Lead by the World Blind Union and its allies around the world, activists came together to protect the right to read. In the United States, in addition to the nation’s blindness and disability rights organizations, the American Library Association, among others, worked for copyright acknowledgment of the needs of blind readers. Activists were thrilled with the outcome. We are still in shock, this is the beginning of changing the world for blind people. Activists also faced stiff and powerful opposition in their quest for reading equality. In fighting its adoption, the Intellectual Property Owners Association called the treaty “dangerous precedent.” Its letter to WIPO was signed by representatives from Exxon Mobile, General Electric, Zerox, Microsoft and a host of others. Stevie Wonder’s last minute plea to the delegates Wonder told the delegates in a video sent to Marakesh that “We stand at the cusp of a momentous time in history,” and that the treaty will create the possibility to “open the doors to the world’s written treasures” for people who are visually impaired. Good summary of negotiating finale, from which the above quotes are taken, from the Intellectual Property Watch website. Book Famine in South Africa blamed on copyright laws in the United States and other Western countries. This is a post about a historic United Nations Treaty. The treaty protects the rights of blind people to read by relaxing copyright laws. This means that blind people will be able to obtain books in formats other than standard print.